Yet another MOOC abandoned mid-way! Recently, Raj enrolled for a 3-week MOOC that he hoped will help him in his job as Marketing Manager. Week 1 and Week 2 passed and he was lagging behind in the videos he needed to see to move forward. Currently in Week 3, he is disillusioned that he will never be able to catch up as he has a job and targets to complete. Since he did not pay up for the premium version, he will not have access to the course beyond Week 3 and with that goes another attempt to keep himself updated in his domain. Is Raj a bad learner? I don’t think so. Doesn’t he have the motivation or interest? Of course, he does. He enrolled for the course out of his own will and interest, with all the good intentions. Yet, he just could not get himself to complete it. There could be three reasons for this. The content was generic and Raj didn’t get an immediate takeaway, especially from the initial videos. As a result, he was not enthused enough to move ahead with other videos. Each video had an instructor lecturing. No different from a classroom where a lecturer addresses a group of students. However, there was no personal interaction and additionally, the whiteboard or chalkboard had not been replaced with annotations or other visuals. After a point, he just could not focus. No visual aids, no interactive elements. There was so much processing that he had to do within his mind that it was difficult to keep track of what the topic was about and how it is relevant to his job. The structure of the course was not really in favor of a self-paced learner whose main job is not that of a student but an employee having job responsibilities. The success of any online learning solution depends on how well the student embraces the solution and actively engages with it. Lack of interactive learning is what causes many students to drop-out of e-learning courses mid-way. In corporate learning situations, organizations cannot afford to do so. 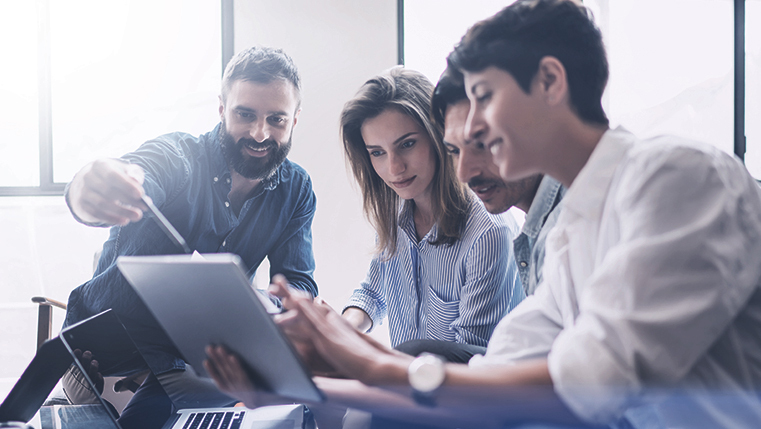 For every training intervention is created with a purpose – to upgrade the skills and knowledge of employees so that they perform better and as a result, get better business outcomes for the company. So, organizations have to come up with engaging and interactive learning solutions. So, what does it take to create interactive online learning solutions? Let me expand on these points one by one. For classroom training, the SME collates the content, prepares notes, PowerPoint Slides and handouts and shares it directly with the learners. The SME does most of the heavy-lifting and is largely responsible for the success of the training program. This is not the case with e-learning courses. To develop e-learning courses, SMEs provide all the relevant content to instructional designers (IDs). IDs analyze the content, align it with the course objectives and prior knowledge of learners and go back to the SMEs if they find content gaps. Sometimes, the content that IDs get are of high quality – well-structured, good examples, FAQs, exercises for practice. Other times, content may just be PPTs that were used during classroom training without any speaker notes or related examples that the trainer would have shared in the classroom. Or, you may have an instructional manual that contains all essential information. In such situations, IDs will need to chunk content, remove non-essential from essential based on learning objectives, identify content gaps that need to be filled and look for relevant information either from the SME or relevant stakeholders. This process is extremely important and cannot be undermined. The language has to be simple, non-academic, jargon-free and easy to understand. Remember that learners are taking the course to get their jobs done efficiently. They are not attempting to publish an academic paper. A storyboard is the term borrowed from the movie and advertising world. 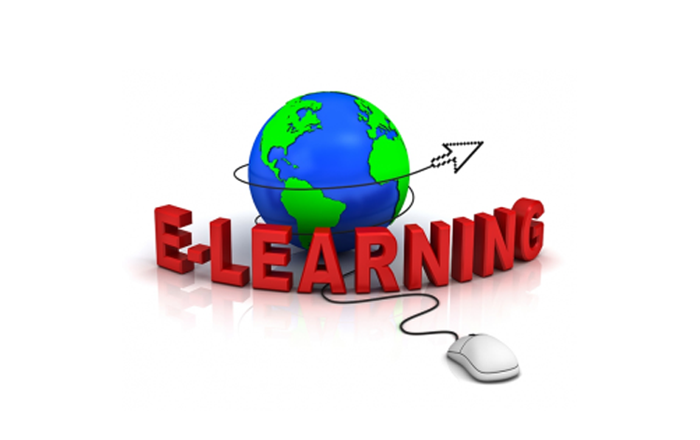 It indicates a document that visually represents each screen on the e-learning course. It is a blueprint that helps courseware developers create the actual course. This is prepared by instructional designers. You can imagine, if the blueprint itself is faulty, the course is bound to falter too and may not attain its objectives. Therefore, it is important to have a good team of instructional designers who understand different instructional strategies, how they can be applied in an e-course, different audio-visual elements that are possible, learning styles and preferences of adult learners and so on. A typical storyboard will provide a logical structure to the course, dividing the content into different modules, specifying what each screen will contain, its layout, the graphics used, voiceover practice assessments and everything that provides conceptual understanding of how the course should be developed. Have a good team of instructional designers who will be able to conceive the project and present it in concrete terms in a storyboard. Follow a sequential and logical structure, with emphasis on learning objectives at every stage. Make sure IDs have a thorough command over different techniques of presenting content (scenario-based learning, story-based learning, case study method…) and knowledge of interactive elements. Avoid clutter and information overload on the screen. Graphics and multimedia elements should be creatively used to support the content and facilitate learning and not be a distraction. Right content and right storyboard will need to be backed by right courseware development. This is the stage where the content presented in the storyboard comes alive on screen. This is done by the courseware developers who include multimedia experts and visual designers. While the main e-course is developed using rapid authoring tools such as Articulate, Captivate, Lectora, iSpring, you also need other software programs to build all the necessary elements that go into the course. For example, in order to create graphics, you will need tools such as Photoshop, Illustrator and so on. Graphics are key to an interactive e-learning module because, there are so many graphic elements such as various buttons, tabs, images, diagrams that are essential for developing a course. Today, some of the authoring tools are quite powerful and provide an all-in-one solution to develop a basic functional e-learning course. Additionally, they offer a wide range of digital assets such as images, backgrounds, and templates, which can be customized to reflect the subject at hand or aligned with visual branding of your organization. The choice of tools will depend on the level of interactivities that you require for your course and the complexity of graphics and interactions you wish to include. Have experienced team of courseware developers and multimedia experts who have good knowledge of various tools and their functionalities.Interface design of the course should be learner-centric with easy to locate course menu and guide on where different tabs and buttons are located and their purpose. Choose an authoring tool that best fits your requirement. You will need to consider how proficient your team is in using the tools before choosing any tool. If you want help in choosing the right authoring tool, check out this eBook. Test courses for their compatibility on the LMS, different browsers, internet connections, and devices. Make sure they provide HTML5 and SCORM compliant output so that they work on most LMSs and mobile devices. Developing self-paced courses for individual learners who access them in isolation is no mean task. It involves a complex process and a combined effort of various specialists such as SMEs, instructional designers, multimedia developers. Most important of all, you need to understand the limitations in which learners’ study, their learning preferences and styles. 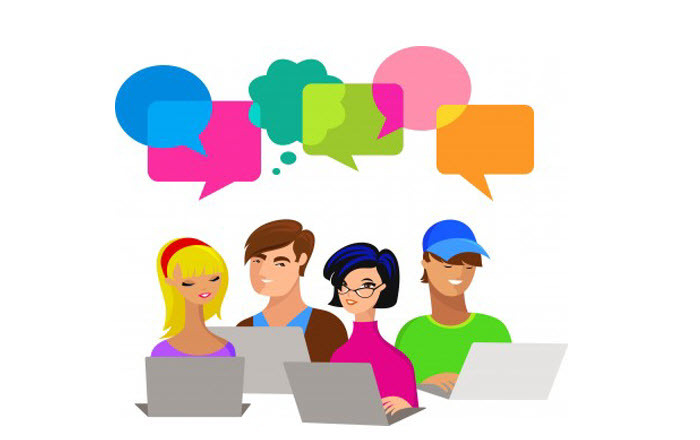 Courses will then have to be designed, keeping in mind the environment in which learners access the courses, the time they have at their disposal and ensure that the course is engaging and interactive enough to keep them going, even in isolation.